Rikers Island settlement: U.S. Attorney, former inmates sued New York City over treatment at infamous jail. A three-year lawsuit over inmate treatment in Rikers Island, joined in December by U.S. Attorney Preet Bharara, has been settled with the City of New York. 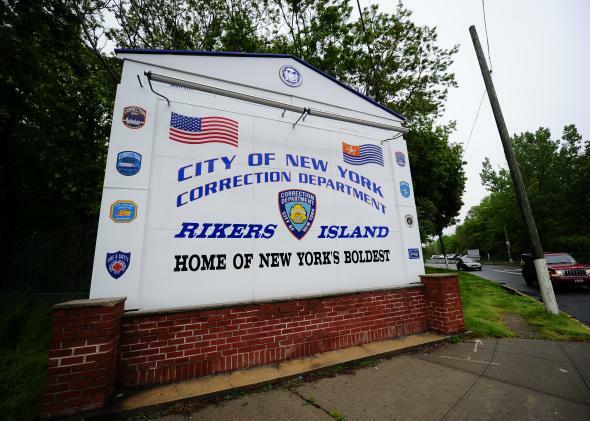 The city of New York reached a settlement Monday in a class-action lawsuit alleging systemic mistreatment of inmates at Rikers Island jail. Nunez v. City of New York was filed in 2012 by the Legal Aid Society and former inmates of the notorious facility, and they were joined last December by the United States Department of Justice. The administration of Mayor Bill de Blasio committed to a host of far-reaching reforms in the deal, including the appointment of a federal monitor, an expansive new policy restricting the use of force against inmates and the installation of thousands of surveillance cameras at the jail complex, the office of the United States attorney for the Southern District, Preet Bharara, said in a court filing. The agreement also includes a major focus on the safety and supervision of teenage inmates, which was the subject of a lengthy civil rights investigation by Bharara’s office. … [T]he agreement ends the use of punitive segregation for inmates under 18 as well as 18-year-olds with serious mental illness, the filing says. [Correction Commissioner Joseph] Ponte has already imposed a series of reforms at Rikers, including, for example, ending solitary confinement for 16- and 17-year-olds. The practice of holding teenagers in solitary confinement at Rikers has been criticized due in part to the case of Kalief Browder. Browder was sent to Rikers when he was 16 and held for three years without trial, including two years in solitary confinement, and struggled to recover after his release. Browder committed suicide earlier this month at the age of 22. The Times reports that 11 of the named plaintiffs in the Nunez case have agreed to the basic parameters of monetary settlements for their individual claims, and that another plaintiff recently agreed to settle his case for $200,000. [T]he Legal Aid Society’s John Boston said the efforts made under the Sheppard monitorship resulted in significant improvements. “The central punitive segregation unit remained an island of calm, despite the fact that it contains the people that the department is fond of describing as ‘the worst of the worst,’” Boston said, adding that conditions degraded in the unit after the monitorship ended in 2002. In a separate case, three current and former Rikers Island guards were recently arrested and charged under a federal indictment from Bharara’s office for the 2012 beating death of inmate Ronald Spear.